Is the weather cool in your part of the world? It’s blowing an icy gale here! 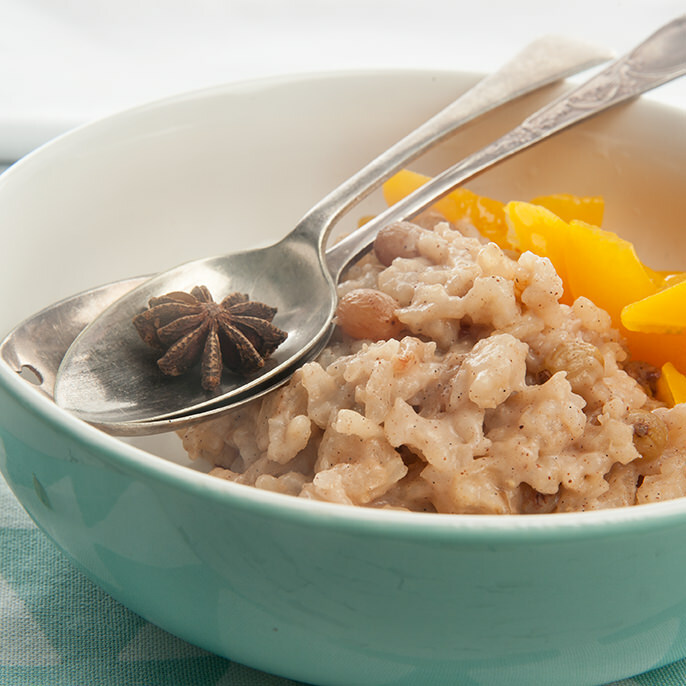 Thankfully the smell of chai spiced slow cooker rice pudding is warming the house. This dish is the epitome of comfort food. 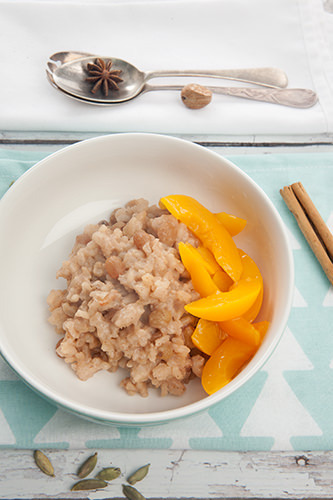 It’s warm, and nourishing and just sweet enough to satisfy a dessert craving. This is a dish my nan used to make us when we were young children. She didn’t add the chai spices but we would usually have it with a sprinkling of brown sugar and cinnamon. That memory is what inspired me to take the favours a little further. 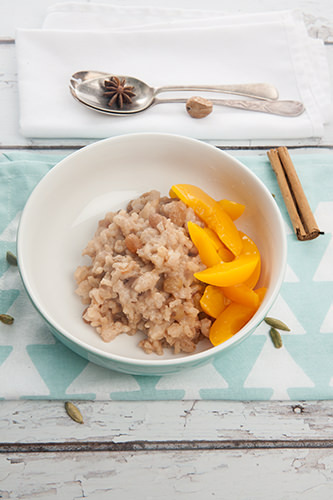 Using whole chai spices in the rice pudding adds another element to this usually old-fashioned dessert. 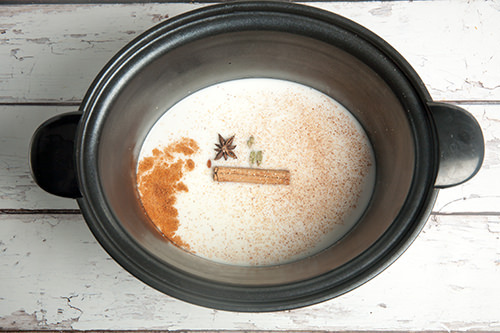 The slow cooker allows the spices time to really infuse through the milk and rice as it cooks. I have used coconut milk because it gives the pudding a subtle creamy sweet flavour without adding more sugar. Using coconut milk in this dessert makes it suitable for vegans and those with dairy intolerances. I have chosen the Vitalife Coconut Milk because its low in fat and only has 55 calories per 250mls. 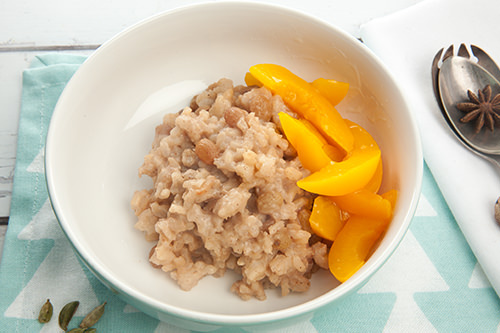 The cooking time for the slow cooker rice pudding depends on the consistency you prefer. If you would like a thinner pourable rice dessert you would decrease the cooking time by 1/2 hour to an hour. Place all the ingredients into a slow cooker and set on high for 2 1/2 hours. Stir the rice pudding about 1 hour into the cook time. 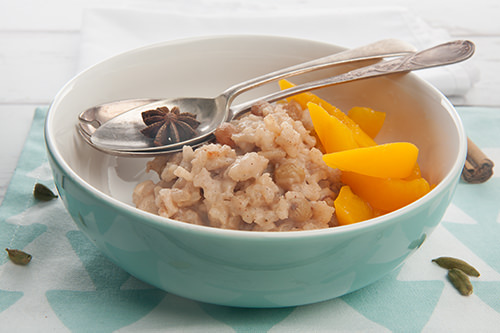 When the rice pudding has reached the desired consistency remove the teabag and whole spices. 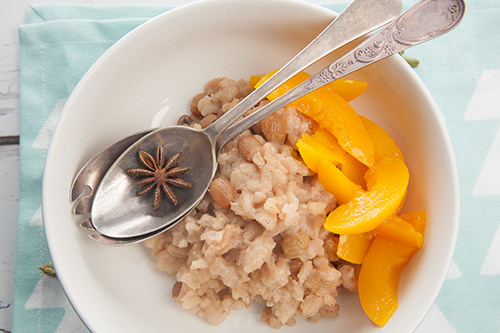 Serve with fresh or poached fruit. If you’re looking for other fabulous slow cooker recipes take a look at some of these dishes. Make sure you keep warm and enjoy some delicious slow-cooked meals to ward off the winter weather. Gourmet Getaways would like to thank Russell Hobbs for sponsoring the slow cooker recipe series and this fabulous giveaway. Salted Caramel Donuts – You know you want one!